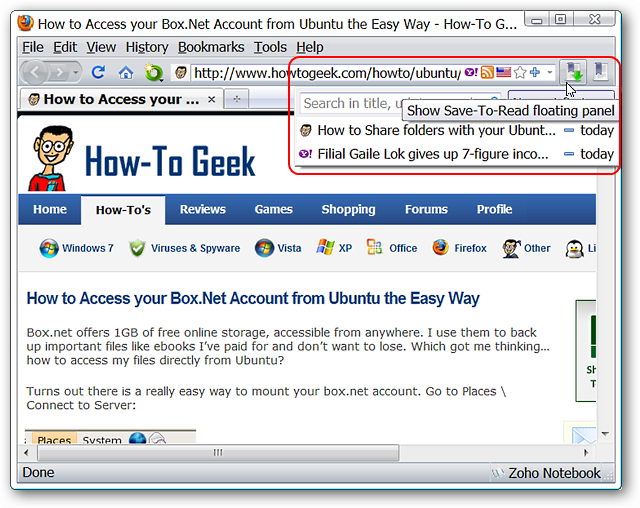 Do you want a simple way to save and manage links for reading later? 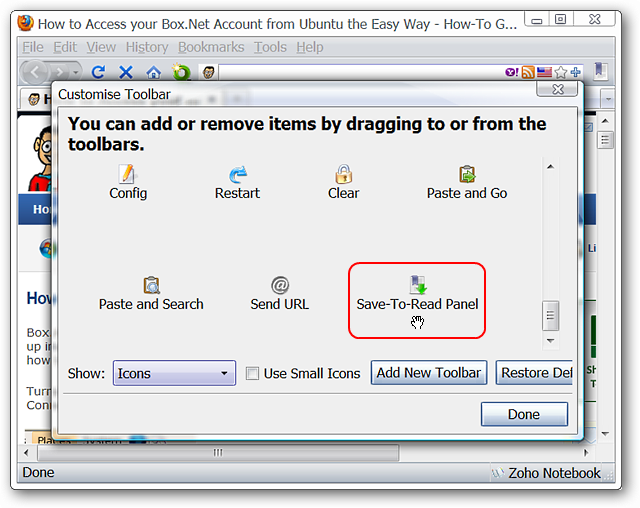 The Save-To-Read extension for Firefox makes it easy to do without an account. 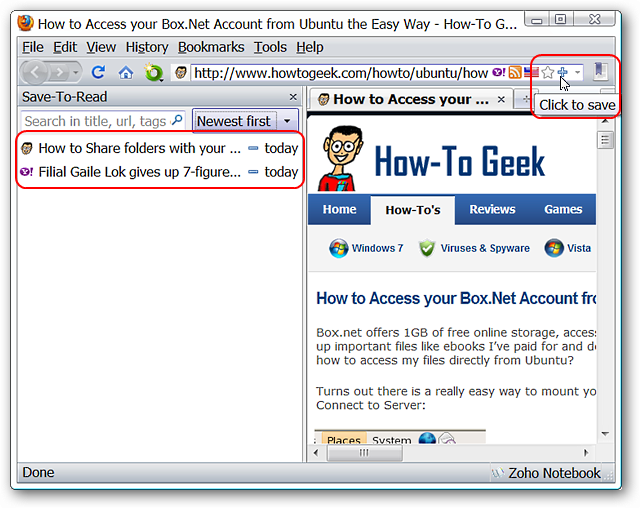 As soon as you install the extension you will notice two new additions to your UI. 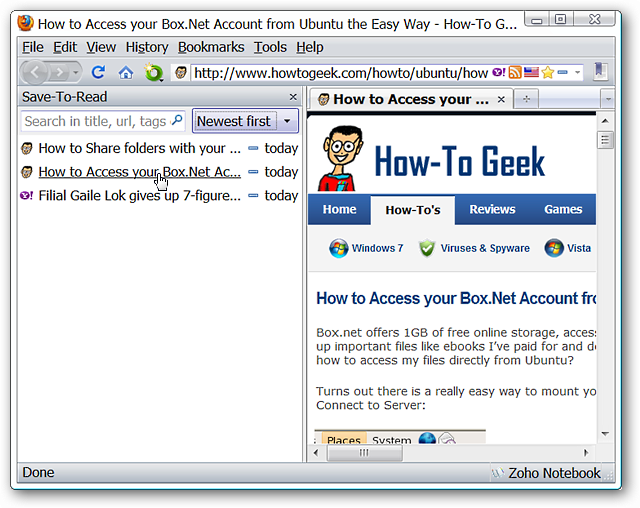 You will see a small plus sign in the address bar and a new toolbar button (opens and closes the sidebar shown here). 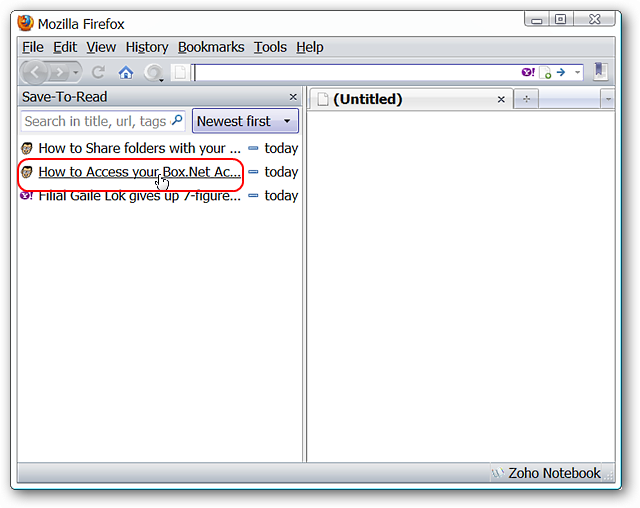 Your bookmarks menu will also have a new folder entry. For our example we chose to save three pages for later reading. 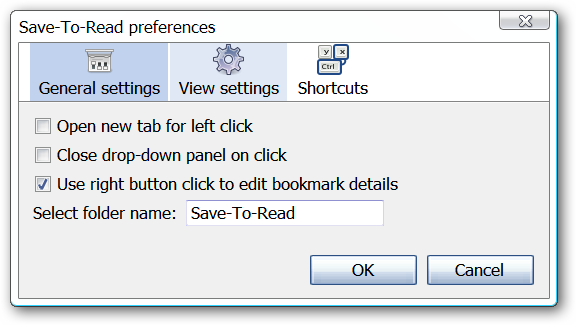 Each time you want to save a website click on the small plus sign, and it is automatically added to your read later list. And finally the third article. 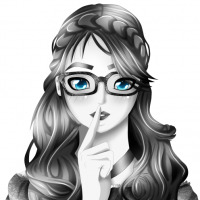 Notice that the small plus sign has become a minus sign after adding the article to our list. Opening the sidebar shows our three entries waiting to be read. 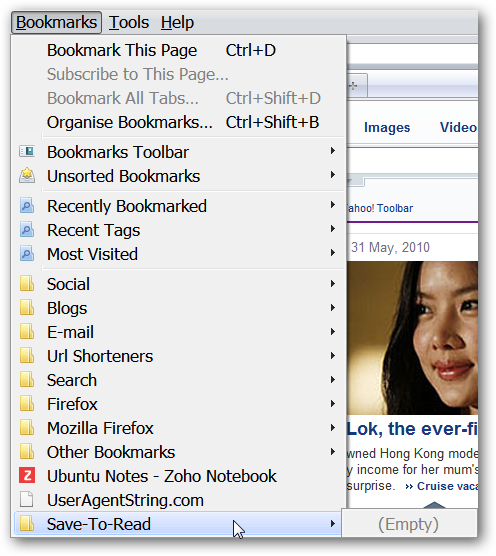 Checking the bookmarks menu shows the same articles available there. 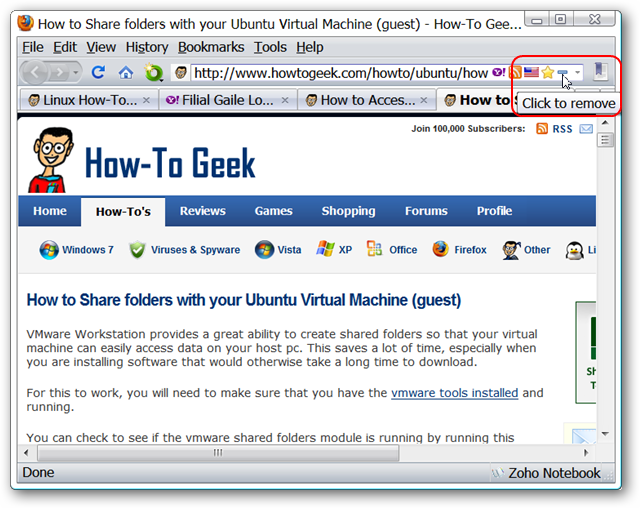 When you are ready to read your articles simply click on the link in the sidebar, bookmarks menu, etc. Notice that the entry is still available at the moment…there are no automatic deletions until you are finished with an article. This is great if you accidentally click the wrong link before you are ready for it. 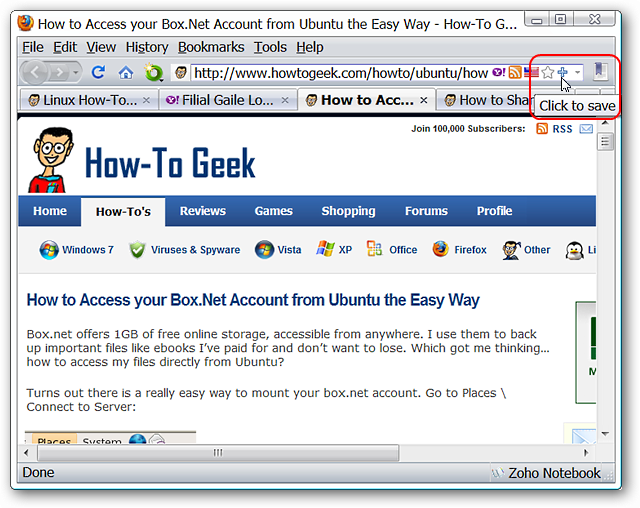 Removing an article from the list is as simple as clicking on the address bar minus sign. It will revert to a plus sign and the entry is no longer visible in your list. For those who want to avoid using a sidebar there is a different toolbar button available too. 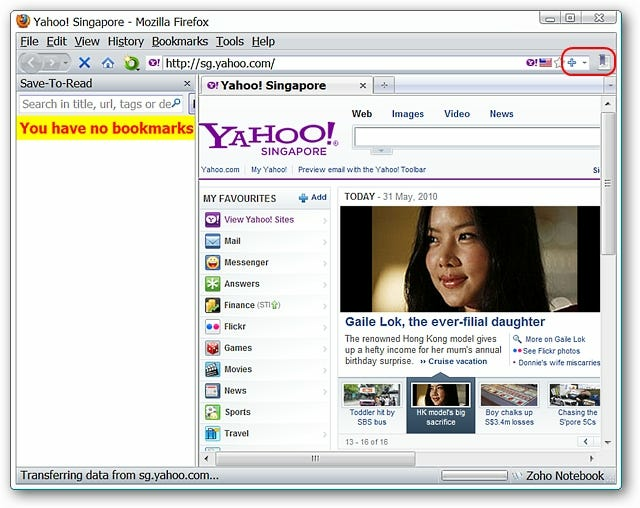 The alternate toolbar button provides access to a drop-down article list. Choose the access style that best suits your needs. The preferences are simple to work with and focus on appearance/ease-of-use. 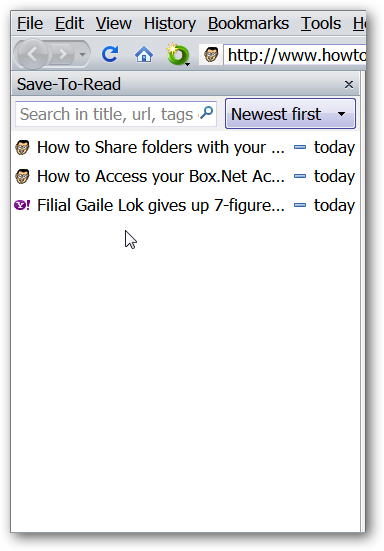 If you have been looking for a simpler alternative to other “read later” extensions, then Save-To-Read could be just what you have been waiting for. To see another cool option for reading posts later (even on eReaders) check out our article on Instapaper.